When Maryann DuBois, who runs the Archway Just Kids after-school program at Avon School, asked students this month help children in need at a new school in Nicaragua, she hoped to collect a single box worth of supplies that could be mailed for about $60. Nicaraguan children line up during part of an Education Plus program. Instead, the children who attend the program donated enough crayons, tape, glue sticks, markers, stickers and other supplies to fill about 10 boxes for children in Pantanal, Granada, Nicaragua. The giving project is being run in conjunction with Education Plus Nicaragua, which “works in the marginalized urban outskirts of Granada, Nicaragua, in order to prevent children and adolescents from abandoning school and, above all, to prevent them from becoming ‘ninos de la calle’ – street children,” according to its website. The organization focuses on education to create opportunities that may help the children break a cycle of poverty in the community. DuBois and Just Kids aides also worked to educate Barrington children about life in Pantanal and how much their help meant to a community where some schools and homes don’t have running water, electricity or other elements children tend to take for granted. “We’re very proud of their response,” DuBois told The Retrospect for a feature article this week. If you would like to donate to help send supplies to Nicaragua, please contact DuBois at madubois@verizon.net. 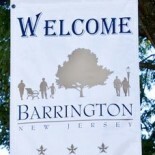 This entry was posted on December 18, 2012 by Barrington Bulletin in Schools and tagged charity.